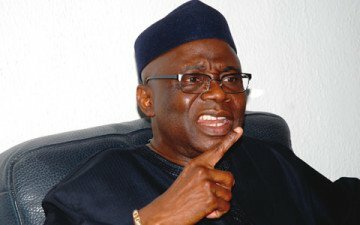 The General Overseer of the Latter Rain Assembly, Lagos, Pastor Tunde Bakare, has warned that Nigeria is on the verge of another Civil War following the yet-to-be addressed incessant killings of other Nigerians by herdsmen. Bakare spoke during his sermon on Sunday, declaring that the “country is moving towards another collapse” with the division among different groups and violence in the country. Speaking on the topic, “All Things are Ready,” the cleric lamented that Nigerians might be forced to retaliate against the rampaging herdsmen. He said, “We are at the verge of another collapse, if care is not taken. We are pushing ourselves into the (edge of the) precipice of another civil war. “All these marauders, called herdsmen; if you don’t checkmate them quickly, and the people begin retaliation against what they are doing, we will begin to kill ourselves again.